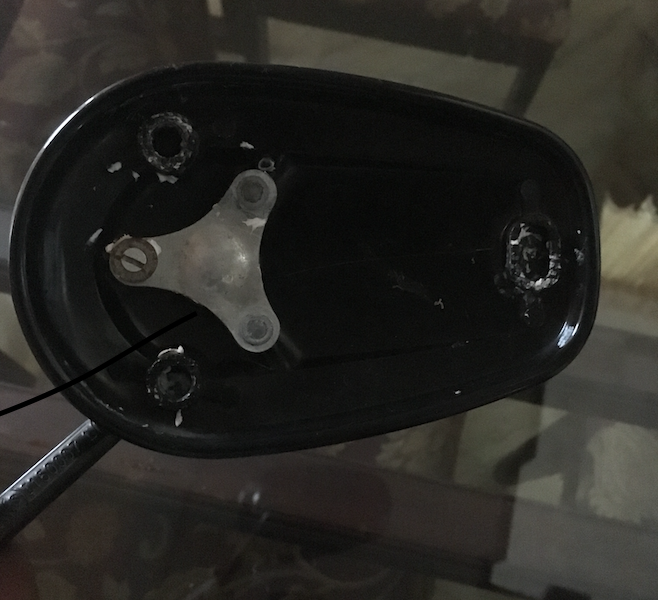 Even on slow speeds, my mirror started moving freely, I called my dealership and said they don't have any fix for this issue and they said to replace them. I had a similar issue some time ago an a CBR600 - the glass in my mirror kept coming loose. I tried many glues and they simply did not work, probably due to the environment it was in etc. in the end I used some Gorilla glue - it was only about £5 - the mirror never came loose again! Try Rear View Mirror Adhesive. I think he means the little tube of glue you can buy to reattach the rearview mirror of an automobile when the button comes unstuck from the windshield, causing the mirror to fall. Here in the United States you can pick it up for a few bucks at any place that has bits and bobs of automobile stuff. 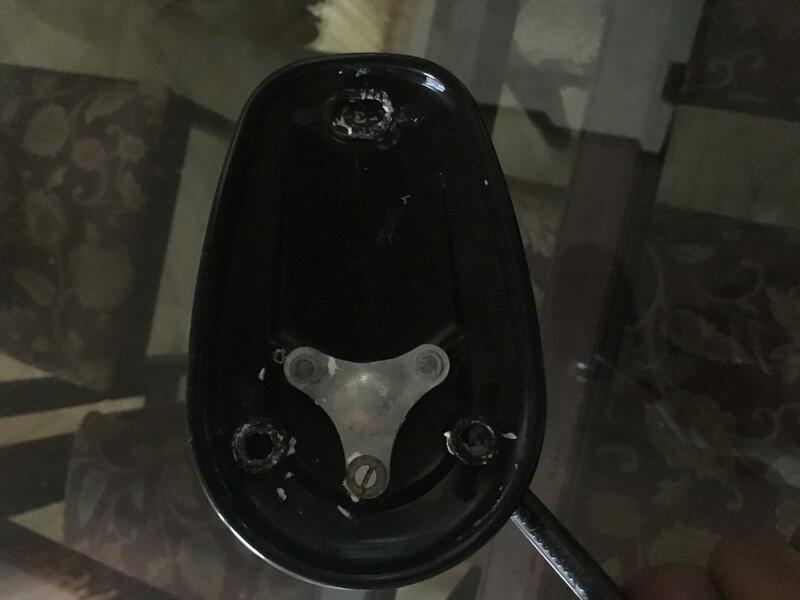 I have to ask are there any plastic parts after the glass us out? I cant really tell from the pics. I do need glasses.